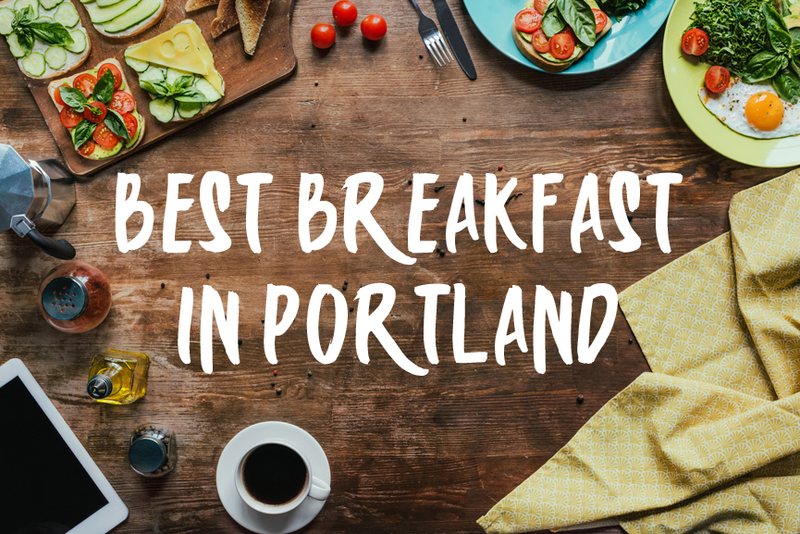 A friendly city renowned for great beer, fabulous food, funky shops and bohemian neighbourhoods, Portland is always intriguing and entertaining, and a real feast for the senses. Breakfast in this town is never dull and there are plenty of cafes, diners and restaurants to choose from. This John Gorham restaurant in Downtown Portland, is a modern steakhouse featuring a fun, family friendly menu that offers an innovative take on traditional brunch style fare. Diners at Tasty n Alder can choose from open-faced omelettes, breakfast steaks or pork schnitzel or opt for something lighter such as a Lemon Ricotta Pancake with blueberry syrup. Whether you are looking for a flavour filled bowl of granola or a platter or meaty delights you will find them all in this cosy and comfortable eatery. Offering a modern take on “moms” home cooked delicacies, Mother’s Bistro & Bar is a famous fixture in downtown Portland. Offering hearty, home made food all day long, the breakfast menu is one of the very best in town. Authentic flavours make for filling dishes such as pork apple sausage and eggs, portobello mushroom scramble and stuffed frittata absolutely delicious, and are all freshly prepared by Chef Lisa and her team. Orders are made from scratch and Lisa always uses the very best possible ingredients to ensure that her breakfasts really do taste like home. Pioneered by Cheryl & Ed Casey, Cheryl’s on 12th is a New American restaurant & cafe situated in the heart of downtown Portland. Designed for everyone to enjoy breakfast right up until 4.00pm daily, diners can choose from a menu filled with contemporary twist on traditional breakfast and brunch ideas. Portuguese fried rice, Prime Rib Benedict and Chilli breakfast vegan bowls are just some of the unusual fare on offer, all served up in a beautiful building that instantly makes you want to sit back and relax. Located in the Embassy Suites, just outside of Chinatown, The Kingsland Kitchen serves delicious food all day long. Only opened in 2017, the restaurant already has quite a following, and it’s quirky menu offers a heady mix of American favourites and British breakfast staples, served up the Kingsland way. Diners can choose from fresh bacon, sausages and eggs, as well as Portuguese fried rice and breakfast burritos, or go British with beans and toast or “full English” style platters. Created by three Southern boys looking to recreate the perfect, buttery, flaky, homemade biscuit, Pine State Biscuits is a true Portland success story. They have three locations which opened to great acclaim with a further two in the works! They can also be found at the Portland Farmers Market on Saturdays from May to November. When you taste their signature breakfast biscuit sandwiches or reach for their blueberry cornmeal pancakes you will understand exactly why the Northwest is so in love with the flavours of the South. Promising everyday Nordic fare, the team at Broder Cafe certainly do deliver a taste of Scandinavia in their breakfast and brunch menu. Diners can choose from Swedish hash, baked eggs, seasonal fruit fritters, Danish pancakes, Norwegian potato crepes or Finnish over porridge for an authentic taste of everything Scandinavian. The Broder Cafe is also pretty famous for it’s legendary meatballs, but you’ll need to come back at lunchtime to try those. Simple but delicious Scandi fare in mid-century surroundings. The Daily Feast is a hub for fast, affordable eats, in a friendly neighbourhood hangout. Cooking classic dishes from scratch, diners can enjoy a selection of breakfast bagels, feast style eggs Benedict and traditional English muffins. For those looking for meat-free option, the vegan spicy tofu scramble is a bit of a legend, and every dish is complemented by cups of steaming hot freshly brewed coffee. The Daily Feast proves that fast food can still be fresh. Quirky and cool, Beulahland is where the hip hang out. With pinball machines, Pabst beers and home made artisan goodies to eat, a trip to Beulahland take you into the heart and soul of 28th Ave. Breakfasts are a laid back affair, with a “help yourself” attitude and the bar is open all day and night. Diners can choose from gluten-free waffles, classic biscuits, brekky burritos and bowls of black beans and tofu. With something for everyone, Beulahland offers the coolest start to the day. Costello’s Travel Caffe is a European style cafe offering fresh breakfast fare seven days a week. Inspired by owner, Chris Costello’s very own extensive travels, the menu offers a little bit of everything from all around the world. Fill your boots at breakfast time with such wonderful offerings as the Farmers Breakfast Scramble, crepes, homemade granola and even hot and savoury homemade quiche which is the house favourite. This traditional looking cafe with a travel theme is a great place to start the day, the Portland way. The Screen Door restaurant is a popular local, full-service restaurant that is enjoying the revival in good, old fashioned American cuisine. Serving up South Carolina low country cuisine, Cajun one-pots and highly refined Creole and French food from New Orleans, the Screen Door offers Southern charm and unique flavour. Breakfast diners can choose from breakfast shrimp and grits, fried chicken and biscuits or freshly made buttermilk pancakes, among other tasty treats and homemade goodies.